Recently someone private messaged me on IG and asked if something was for sale. I said no, but I feel like I should explain why I don’t. I don’t really sell any of my castings (I have considered making small diorama’s to sell, but that’s another story) or anything I own honestly. I guess you can say I’m a selfish hoarder, I keep what I get. It sounds bad, I know, but I will regret selling or trading anything from my personal collection. Plus some of these castings are super hard to find, at least in my area. I’ll put this in perspective, I used to collect video game; consoles and the games. I bought them used or people just gave them to me. Heck, I majored in Game and Simulation production, so it was essentially research. As of now, I have 10+ consoles (not including doubles of the consoles), and over 200+ games overall. I collected and kept them all, I found it fun. I’ve moved on to diecast now, but I still have that collection of consoles and games, which are awaiting my child when she gets older (we need more girl gamers). So if anyone has ever wondered why I don’t sell, my apologies, I just don’t. I keep it all. It’s also why I don’t really trade from my personal collection. I would like to keep my collection that I worked really hard to acquire. I mean, I go to great lengths to add to my various collections. One time I went dumpster diving, in the Floridian heat, to acquire a Sega Saturn someone threw out. I do what I do. For the people I have traded with, I always bought new cars for the hwep/ihwep. 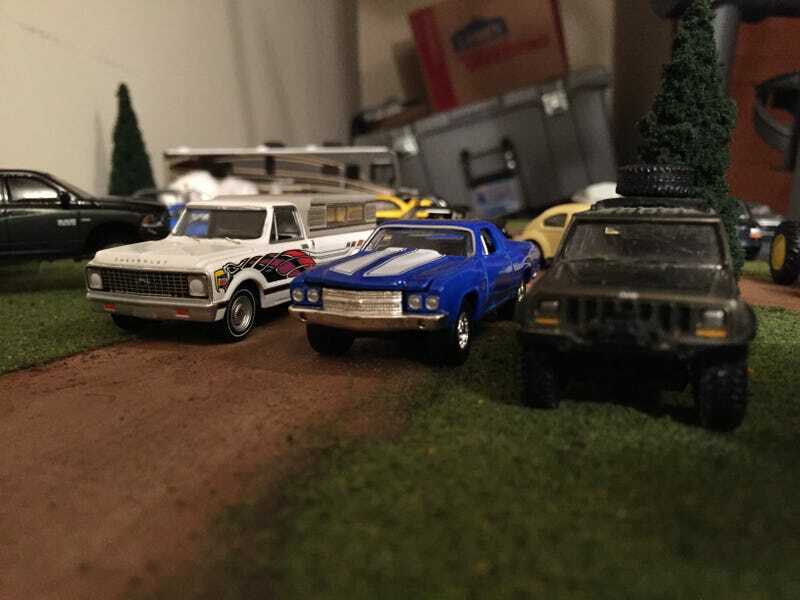 I went to great lengths to find the cars you wanted too, repeatedly hitting stores looking for that British or tank HWs from the ‘90s that you wanted. Again, I do what I do. So please don’t be offended by my actions. And if the dude from IG is reading this, please don’t take it to heart. I’m an odd person, I know. I like it that way. And although I don’t trade much anyone, I feel like I have excelled in another area, information. If I feel I have something useful, I share it. I’m very open on how I make stuff, and I’m more than willing to give tips and techniques too. Technically, everyone here could make an identical diorama’s with the info I’ve given them. Again, I do what I do. Note: This post wasn’t inspired by anyone on lald, I promise you (i keep my promises). I know a lot of people sell or trade cars from their personal collection, it’s just not my thing. I just wanted to clarify my oddness, and say, it’s ok if you don’t. Being different is ok, :). Signed, your neighborhood friendly ztp.